Many of the clients I work with are making the move to Office 365 from Office 2010, or a mixed environment of various Office versions. In either scenario they are making a leap to a new version of Microsoft Office providing their users with more flexibility, the opportunity to work more efficiently while increasing user productivity. If your organization is getting ready to make the move to Office 365, IT has done its job, has the endorsement of their beta test group and the C-Suite has provided their stamp of approval. Just don’t forget: The move to Office 365 is not like any previous Microsoft Office upgrade for your end-users. This past May I wrote about The Importance of User Adoption and how it should be a Key Piece to any Office 365 Rollout. In this post, I’d like to share three tips that I’ve found helpful and that my clients have leveraged to create increased acceptance among users. Full disclosure: the clients I work with see Office 365 as more than just an update to their version of Microsoft Office. They see it as a new modern way for their users to work and communicate. They envision new ways for their business to function with automated workflows that leverage the cloud. 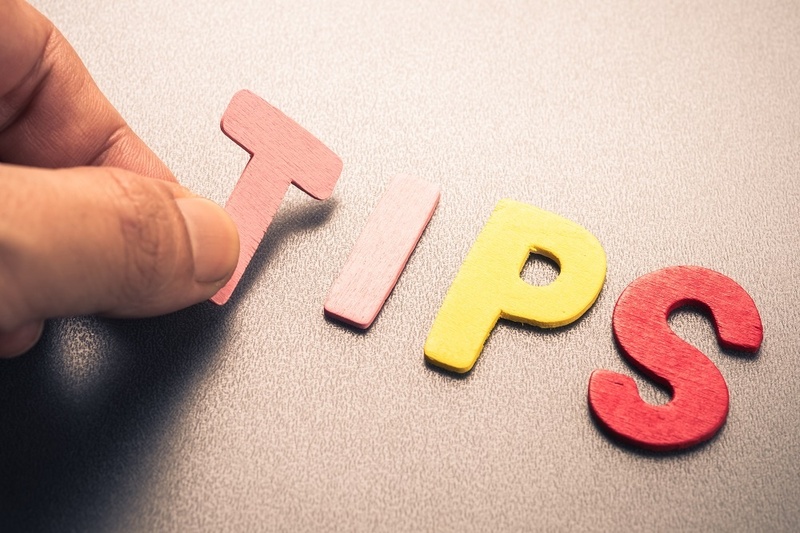 While I typically work with clients in the Government and Healthcare industries, I’ve had many small to mid-size clients across many business verticals successfully apply these tips. The size of your organization does not limit the usefulness of these real life tips. Big or small, a key component to a successful deployment is having a plan regardless of your end-user count. I’ve written about the importance of rollout plans in the past, this post, The 4 Step Software Rollout Plan still gets lots of visits, as it should. The importance of having a training plan remains. I even provided A Sample Office 365 Training Plan to help you start your planning. As a Project Manager for Office 365 Deployments, I’ve also added a few new tools to my toolkit since I first posted the above articles. One new tool that I’ve added has worked extremely well for our clients: schedule and host a Buzz Day (or two). This is something you can do internally, or you can work with KnowledgeWave or another experienced learning partner. What is a Buzz Day? It’s a day in which you showcase to your employees the reasons for your move to Office 365. Topics will vary depending on your deployment plan, but examples might include demoing new features of Office 2016 to users. Or showing users the coolness and modern ways they can work with Skype for Business. Maybe presenting how users can collaborate with co-workers across devices while co-authoring a document in real time. Use some real work examples if possible. Let users ask questions, but keep your Buzz Day focused. Schedule several short sessions and repeat them throughout the day. Communicate and promote the Buzz Day to your users to get them interested in attending the event. Consider having a raffle and give anyone that attends a Buzz Session a chance to win a prize. You don’t have to give away a car. Small token awards and a small budget is ok. Your goal is to get your users to come and learn about Office 365, you want your employees to see and envision the future. Here’s a sample flyer one of our clients used to promote their Buzz Day. Feel free to download and customize for your topics of importance. The move for users to Office 2016 isn’t major, however, there are changes, and the fear of change can trigger concern. The move to Office 365 is a much bigger transformation and it comes with a learning curve. To best benefit from that transformation, you should want staff to learn how to leverage the new Office 365 features. Maybe how they use the features will be limited in the beginning, but users still need to learn. That, and they should learn your way. Training is an opportunity to educate users on the way your organization is going to leverage this new technology. During your Buzz Day event, and as part of your communication with users, make sure you let users know that they don’t have to face this move without resources. Show your commitment to providing training and support that will enable them to continue to do their job as well as leverage to their advantage the benefits of the new software. From your early communications to the Buzz Day event, make sure users know about the tools available to them. The training options, the webinars, on-demand learning or live hands-on training you’ll be providing before, during and after your Office 365 deployment. If your company is leveraging the KnowledgeWave Learning Site as part of your training plan, have users activate their accounts as part of the buzz day event. 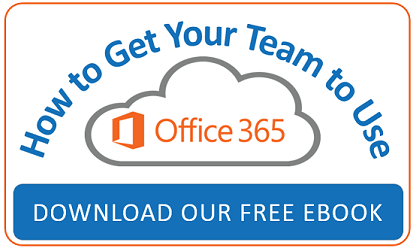 There isn’t a perfect procedure for an Office 365 Training Plan, each company is unique and needs to consider training and the modalities for the training based on their deployment plans and schedule. Interested in creating raving fans out of your end-users during a deployment? Consider creating a user experience with a concierge level of support. You’ve got your helpdesk, you’ve got your technicians for hardware issues, but who’s your lead for the personal touch during new software deployments? Recently KnowledgeWave had the opportunity to augment a team and we were positioned as Office 365 Support Analysts. We provided at-the-elbow support that many companies don’t think about when making a Office 365 Training Plan. This at-the-elbow time enabled our Analysts to help with the specific user questions related to their move to Office 2016 and how that change impacted them personally. A few days prior to a deployment that department would be notified of the upcoming migration, then on the day of deployment, a Support Analyst was onsite to provide comfort and reassurance that users could maintain their productivity. The end-user feedback was overwhelmingly positive; even when help wasn’t required users felt supported. They felt valued. That personal touch also provided another opportunity to reinforce our clients Office 365 Training Plan with their users. Our Support Analysts reminded users about the training options and resources available and that helped to reduce call volume to the helpdesk. This level of service doesn’t have to be handled by a vendor, but it should be conducted by someone very knowledgeable about the new software you are deploying and how it will be used in your business. It’s also very helpful if Support Analysts have prior experience with the version of the software you’re moving from so they can help users make the leap from the way things used to work to the new way. The key takeaway here: have a plan that includes regular communication about your move to Office 365. This messaging should take place before, during and after your deployment. Consider using a customized email template to promote phases of your deployment, like this Skype for Business Template. Make sure to highlight and promote the learning tools users will have available. Take the fear of change away by showcasing the software before it comes with a Buzz Day and make sure that your users know that they will be supported after the move to Office 365.